Ladies and gentlemen! 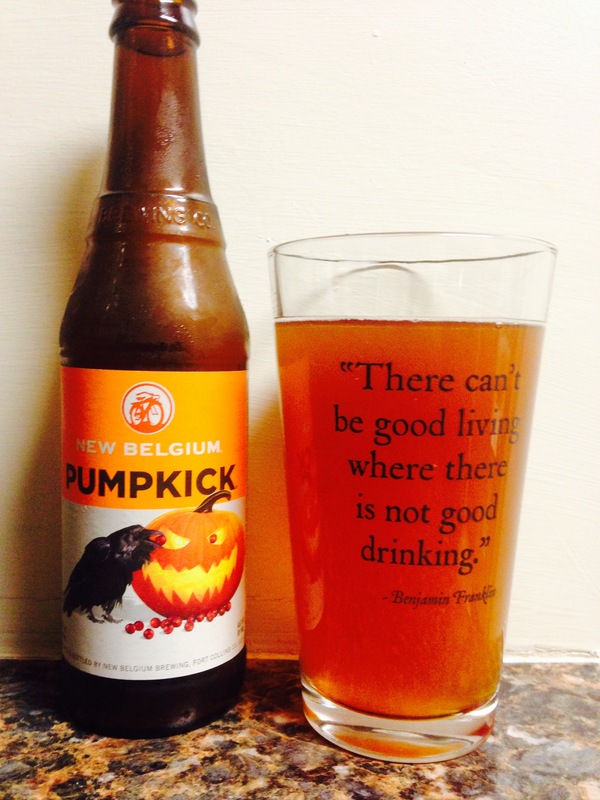 New Belgium Pumpkick is one of my favorites two years running! It has great color and smell. It is almost “marshmallowy” it’s so smooth and soft, with a hint of honey that coats your mouth as you drink! Delicious! It only has a 6% alc content but that just makes it easier to drink all night! We have switched to star ratings so this one gets a solid 4 stars! Enjoy!